Nanga Parbat literally translates from Sanskrit as the Bare Mountain. This is the highest virgin mountain in the world and second highest mountain in Pakistan after K2. It rises at an altitude of 8126 meters. The mountain is also known by the nickname killer mountain, as many climbers have died while trying to climb the peaks. Nanga Parbat is a mountain which attracts many climbers on peaks around the world. The peak gained interest from the late nineteenth century and even today inspires Conquerors of the peaks. 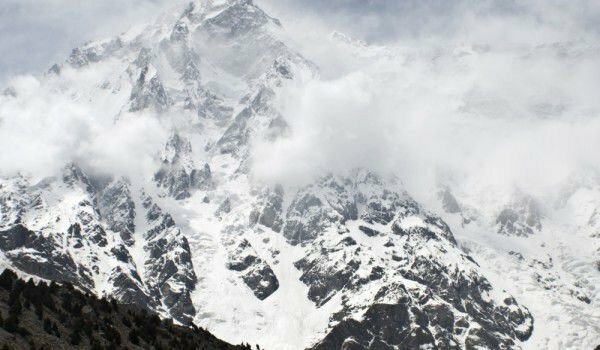 Nanga Parbat is very difficult to climb, but for the few who have managed to conquer it, the prize was an incredible sight that was discovered before their eyes. From the south today are made only five ascents, because that part of the mountain is the most difficult for climbing. Before World War II, climbers were told that the only way to climb Nanga Parbat was from the north through a large arch over the peak Rakhiot. The road was extremely dangerous because of avalanches. Sixty-two people were victims of their desire to climb the mountain because of this fact the mountain is called Mount killer. Today there are other peaks that could acquire the nickname – a good example is Mount Ultar. The route of mountaineer Hermann Buhl has been repeated once. His ascent was the first ascent without oxygen and no other climbers have tried that. Today, most ascents would weigh down on the west Diamir. It is believed that this is the safest way. Nanga Parbat was climbed by more than 260 people. Sixteen women have climbed the mountain before. The hardest way to climb Nanga Parbat is the unconquered Ridge Mazeno, which is considered the longest ridge in the world. Nanga Parbat first caught the attention of climbers in 1895. Then Briton Alfred Mummery managed to climb to 6100 m altitude and died together with his guides. In the thirties of last century German expeditions of six climbers tried to climb the mountain, but each of them failed, and dozens of people died during the storms, landslides and avalanches. In 1950 three Brits tried to climb the mountain in winter, but two of them died. In 1953 the mountain was conquered for the first time by the Austrian Hermann Bull across the eastern side of the ridge Rakiot. From the camp, which was located at an altitude of 6900 meters Bull himself climbed to the top, as his companions refused to continue. After climbing forty hours he managed to conquer the summit. In 1962 the mountain was climbed for the second time by Toni Kinshofer, Siegfried Löw and Anderl Mannhardt. In 1970, the brothers Reinhold and Günther Messner made the first ascent to the summit Merkl Couloir. While they were descending, Günther was killed by an avalanche. In 1978 Reinhold Messner climbed himself from the right side of the Diamir. This was the first fully self-climbing attempt at Nanga Parbat, as he set off alone. In 1985 three Poles were the first women to climb Nanga Parbat. In 2006, Venezuelan student José Antonio Delgado Sucre, who was an elite climber, died several days after reaching the summit because of bad weather at the top did not let him down. It is the only Venezuelan climb attempt.